The Solomon Islands are characterised more than anything, by the sea that surrounds it. The Solomons are located within a wider area known as the Coral Triangle.Here, the waters have been nominated as one of Oceania’s 7 natural wonders and described as the ‘Amazon of the ocean’ for the huge diversity of corals and tropical marine life that call it home. Almost 500 species of hard and soft corals have been found to form the 5,750km2 of reefs in the Solomons. These reefs absolutely teem with life, from titan trigger fish, green and orange neon slugs and superbly coloured sea fans to the full food chain of creatures including large schools of jacks and barracuda, all the way up to the cruising grey reef sharks. The Solomon’s underwater realm provide spawning grounds and migratory routes for 1000 reef fish species, dolphins, rays, sharks, and six of the world’s seven species of marine turtles, to name a few. 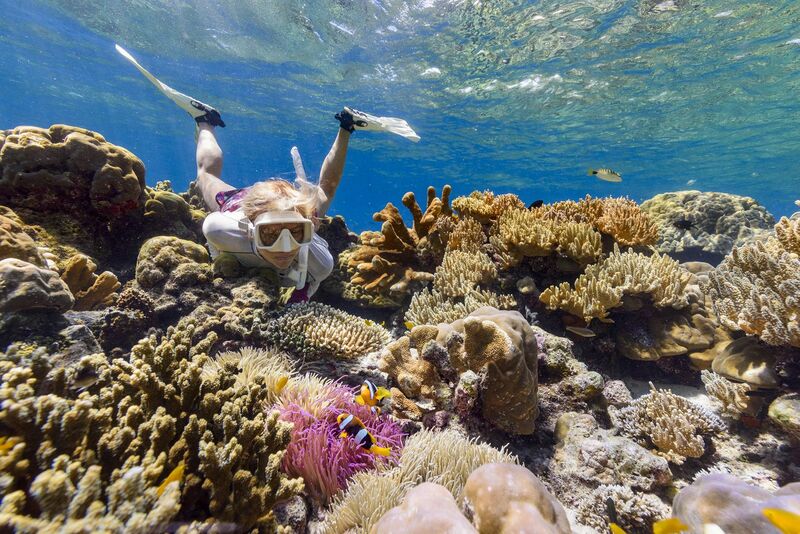 There couldn’t be a better place to experience the joy and wonder of exploring under the water. The Solomons have one of the highest concentrations of WWII wrecks in the Pacific. Aircraft, ships and submarines litter the sea floor and now serve as artificial reefs attracting corals and fish life as well as fascinating records of world history. The waters just off Honiara are named Iron Bottom Sound with good reason so you don’t have to go far from the capital to experience some very memorable wreck diving. 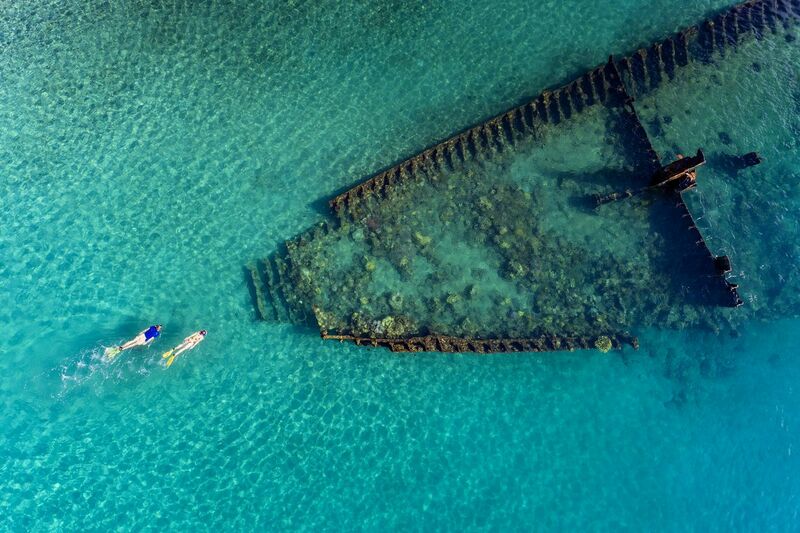 Some wrecks are shallow enough to be snorkelled. From American oil tankers and navy destroyers to New Zealand mine sweepers and Japanese seaplanes, the diving is sensational and evokes vivid memories of WWII. There are plenty of opportunities for world class snorkelling, diving and underwater photography throughout the islands but sites in the Western and Central Provinces are among the most popular. Dive the lagoon at Marovo, the largest saltwater lagoon in the world. Many of the lagoon’s islands are uninhabited meaning the beaches are often deserted and totally unspoilt. On the north side of the lagoon is Uepi Island, a sliver of sand and tropical jungle lined with colourful coral drop offs. Munda and Roviana Lagoon are also popular diving destinations. Roviana is a large body of water that extends for over 50km eastwards from Munda and is bounded by a chain of barrier reefs and islands. 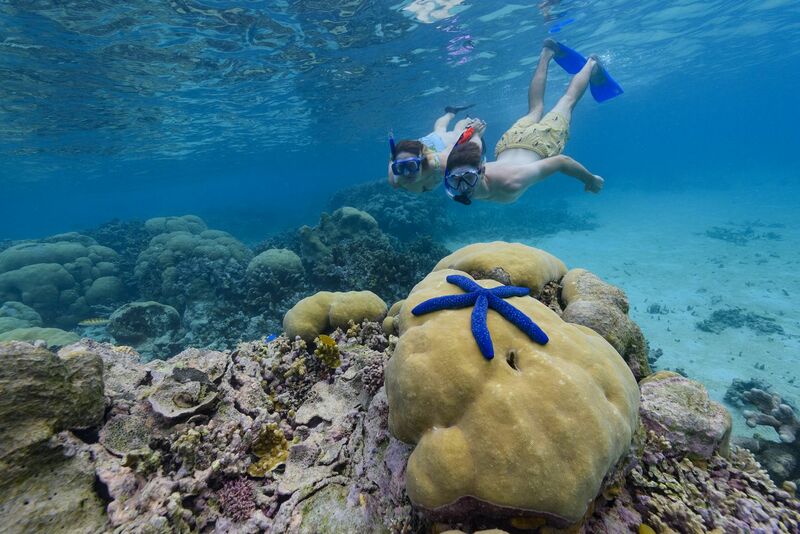 On the outer sides of the barrier islands you’ll find walls and slopes rich in hard corals and all bathed in deep clear blue waters, back-dropped by patrolling fish. Inside the lagoon is the Cave of the Kastom Shark, located in the mangroves of one of the many islands. A small freshwater pool is the start of a vertical shaft that leads into two large connected chambers. The twin tunnels is another magnificent diving experience – two ancient vertical shafts on a large submerged pinnacle deep under the water. You’ll be enthralled by the swarming fish life – the large tuna, the white tipped reef sharks – as you cling to the sheer reef wall and peer over the abyss. Leru Cut in the Central Province provides one of the Solomons’ most iconic photo opportunities. Morning sunlight pierces a chasm, the streams of light providing striking shots of divers in silhouette.